With Asian flavors at the top of the food trend charts since mid-2012, Pan-Asian offerings have become tremendously favorable and are a primary offering among the top brands in quick-service and fast-casual segments. One only needs to look at the new Asian food and beverage products introduced at the leading industry convention sponsored by the National Restaurant Association. 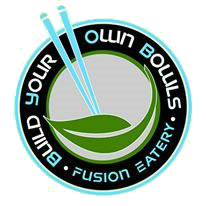 BYO Bowls is aligning itself with the healthy dining options and believes experts in consumer dining and in the restaurant field authenticate this positioning. Arnold Shain, acclaimed restaurant consultant, has stated: "Asian food tends to be more interesting, especially for the growing number of consumers tired of the same old thing – burgers and deep fried. People perceive Asian cuisine as a better way of eating and (as] more healthful, because it has less red meat and more noodles, rice, and vegetables." Also, according to Winning Back Health-Conscious Consumers, a news report from Port Washington, N.Y., "healthy" is the No.1 characteristic that consumers across all segments and nearly all demographics want more of in restaurant menus. Whether explicitly or implicitly stated, the survey reveals that consumers are seeking food that is "real." Carrots, Broccoli, Mushrooms, Cucumber, Snow Peas, Spinach, Zuccini, Tomatoes, Bok Choy, Baby Corn, Onions, Sprouts, Jalapenos, and LOTS MORE!